Eltamd Sun-safe Instant Win Game Giveaway For Open To Legal Residents Of The Fifty United States, The District Of Columbia And Puerto Rico, Who Are 18 Years Or Older. Submit Your Entry And Get Chance To Win A Eltamd Sun Care The Giveaway Begins At 9:00:00 Am Eastern Time On May 1, 2018 And Ends At 8:59:59 Pm Et On May 31, 2018. and Fill Your Name And Your E-mail Eddress To Be Eligible To Win. Eligibility: Open To Legal Residents Of The Fifty United States, The District Of Columbia And Puerto Rico, Who Are 18 Years Or Older. 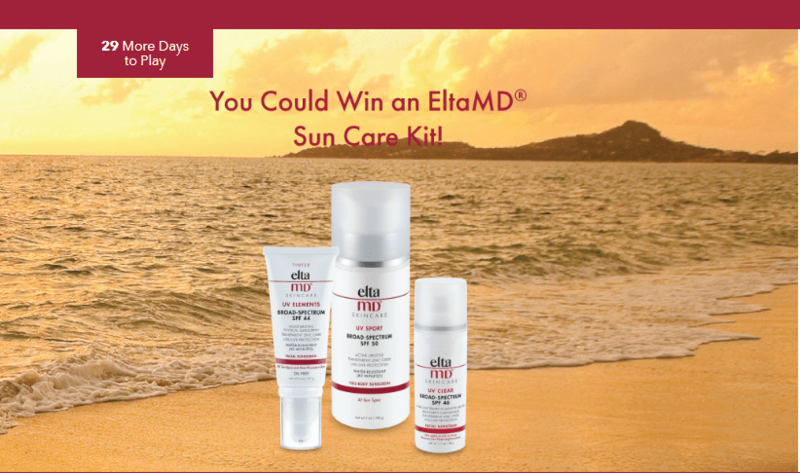 Prize (s): 31 Instant Winners Will Win A EltaMD Sun Care Kit!